China’s new military reform measures, intended to “give more power to lower-level authorities,” are likely to increase the threat of conflict with its neighbors and with the United States – in ways both obvious and more subtle. First, to the extent the reforms succeed in making the People’s Liberation Army more effective and “capable of real combat” as Xi Jinping has advocated, that is bad news for the region, the United States, and its allies. Given the territorial gains China’s aggressive posture has already made, any enhanced military power, real or perceived, can only whet the PRC’s appetite for further advances. The ostensible expansion of lower-level military decision-making has set the stage for additional air or maritime confrontations and provided Beijing with further plausible deniability if its aggressive top-level policies happen to trigger incidents potentially involving material destruction and loss of life. Western Muslims: First Line of Defense or Part of the Problem? Many pundits have opined that the Islamic State made a terrible mistake by opening up an overseas front in blowing up a Russian airliner and conducting urban attacks in Europe. By western standards, making unnecessary enemies is bad strategy; by jihadist standards, it makes perfect sense. We continually make the mistake of mirror imaging our adversaries. The mindset of the Islamic State’s strategic planners is so alien to many westerners that thinking like them requires a shower afterwards. However, there is a sick logic to what they are doing. The Islamic State has had fifteen months to consolidate a sanctuary from which to pursue its objectives. Western thinkers and planners have assumed that the objective of the jihadist entity is to control territory; that is a bad read. Control of territory is merely a means to an end. Their objective is a world-wide war between their brand of Islam and everyone else; and the events of the last few weeks have furthered that goal. The creed of the Islamic state is that, “you are either for us or against us”. When George W. Bush said that, he was stating a principle. When Caliph al Baghdadi says it, it is a death threat. Muslims in the west must choose. The Islamic State views the unassimilated populations of Muslim communities in places like Paris, London, Dearborn, and Nashville a potential battlegrounds on the frontlines of jihad. If they can radicalize the Muslims who now consider themselves to be moderate, they will have created pockets of urban resistance in the camp of the “Crusaders”. This will force the Americans, Russians, and Europeans to fight both at home and in the land of the Koran. This approach, called “vexation operations”, is beginning to work. As the Americans, Europeans, and Russians crack down on Muslims and Muslim residents, the Islamists believe that Muslims in those lands will be forced to resort to resistance. That resistance may be suicidal, but the wretches caught up in it will become inadvertent martyrs. In the world view of ISIS, this makes perfect sense. An hours-long armed standoff with Taliban fighters near the Spanish embassy in Kabul ended Saturday morning with all four attackers dead, a police commander said. The special forces commander said four foreigners were rescued from a safe room in the guesthouse after the standoff ended and the building around 6:20 am Saturday local time. He added however, that a Spanish security officer was killed in the attack and at least seven people were being treated in a nearby hospital run by Italian aid group emergency, largely for minor injuries. 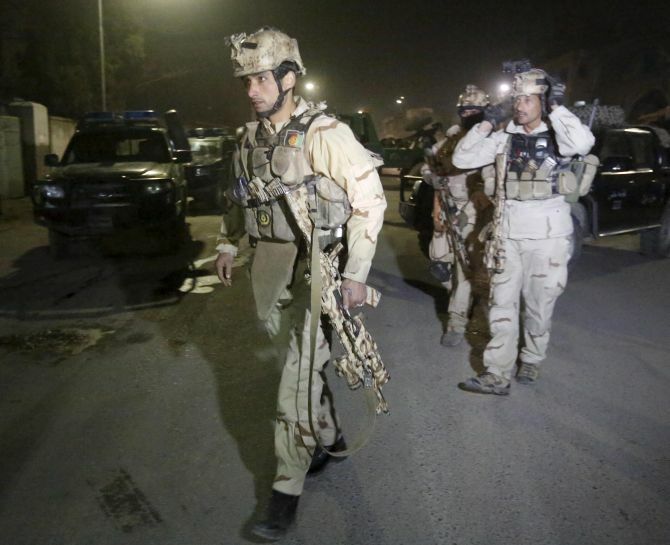 On Friday night, Taliban attackers detonated a car bomb outside the guesthouse and stormed the building, and then exchanged fire with security forces, officials said. Three attackers on a roof were shot and killed by the police and a fourth blew himself up in the car bomb attack, the commander said. Three security guards were killed in the initial explosion, the commander said. Seven others were injured, Afghan Interior Ministry spokesman Sediq Sediqqi said. The attack occurred in Kabul’s Shirpour neighbourhood, which serves as the city’s de facto diplomatic enclave. It features several foreign embassies, non-governmental organizations, and a significant expatriate community. Spain’s Prime Minister Mariano Rajoy on Saturday said the attack in Kabul’s diplomatic district was not targeted at the country’s embassy, contradicting earlier statements by the foreign ministry and local police. The Taliban claimed responsibility for the attack, just days after President Ashraf Ghani returned from a regional peace conference in Pakistan, where he sought support to revive peace talks that had stalled this year. India’s status as a large developing country and a major emitter complicates its position at the Paris climate talks, writes Alyssa Ayres in this guest blog post, but there are signs that its delegation is working more constructively than in years past toward a deal. This piece is part of our guest series surrounding the UN talks in Paris. Previous posts addressed deforestation, short-lived pollutants, climate change and conflict in northern Nigeria, international climate institutions beyond the UN, and China’s rhetoric on climate. A reader could be forgiven her confusion at the extreme dichotomy in perspectives offered by Indian and American media covering the Conference of Parties (COP21) climate negotiations in Paris. The U.S. press, cartoonists included, has highlighted India as a hurdle at best, spoiler at worst, to achieving a strong, effective agreement. The Indian press has characterized the United States as a “bully” unwilling to make deeper emissions cuts at home but harshly pressing the poor to do so, balking at more funding to help developing countries adapt to climate change, and resisting proposals for liability for future environmental damage. In contrast, both countries perceive themselves as taking important steps to bring about domestic and international consensus to limit climate change. While the negotiations will continue throughout this week, a few observations can be made from the talks so far in thinking about how a rising India views its global role. Pakistan wants to buy Lockheed Martin’s stealthy fifth-generation F-35 Joint Strike Fighter. But the South Asian nation’s chances of acquiring the new American-built warplane are fairly remote. Not only would export of the F-35 to Islamabad compromise the stealth fighter’s technology to Beijing, it could also destabilize the security balance in the region. While Pakistan is focused on modernizing its air force with the Chinese-developed JF-17 Thunder, it is considering three possible options to acquire fifth-generation fighters. According to Islamabad’s chief of the air staff (CAS) Air Chief Marshal Sohail Aman, who spoke to the Pakistani daily The News, the country has started negotiations with the United States to acquire the stealthy single-engine F-35. Meanwhile, the U.S. State Department would not comment on the matter. “As a matter of policy, the Department of State does not comment on proposed or requested defense sales or transfers, unless they have been formally notified to Congress and we have completed all necessary administrative and technical details with recipient partner nations,” said Julia Mason, a State Department spokesperson. The Defense Security Cooperation Agency would not return calls, but congressional sources said that they would be shocked if the United States were to export the F-35 to Pakistan. One senior congressional source noted that Pakistan works very closely with China on various aerospace development programs. As such, it is very unlikely that the United States would consider selling Pakistan the F-35; the risk of technology transfer to China is far too great. The head of Afghanistan’s main intelligence agency resigned on Thursday over disagreements with President Ashraf Ghani, laying bare divisions that have hindered efforts to fight the growing Taliban insurgency. The resignation of Rahmatullah Nabil follows a series of setbacks in recent months including the fall of the northern city of Kunduz to the Taliban and an insurgent raid on Kandahar airport in the south on Tuesday in which 50 civilians, police and security personnel were killed. Already without a permanent defence minister due to conflicts within Ghani’s national unity government, the country now has no spy chief just as the Kandahar raid underlined the Taliban’s ability to inflict serious damage on its forces. Nabil, who strongly opposed Ghani’s moves toward a rapprochement with Pakistan, said in his letter of resignation from the National Directorate of Security (NDS) that there had been “a lack of agreement on some policy matters” in recent months. He said the president had imposed unacceptable conditions on the way he did his job, with “repeated verbal summons” that put him under impossible pressure and forced his resignation. Relations between Ghani and the NDS had been strained since at least the fall of Kunduz, which caught security forces badly unprepared and which an inquiry last month blamed on poor leadership. Later, Ghani dismissed some NDS officials, including the provincial chief of the agency, who he said had neglected their duty to defend Kunduz. The Taliban held the city for several days before government troops could regain control. Ghani issued a statement on Thursday saying he had not wanted Nabil to resign because of the difficult security situation but he respected the decision. An interim replacement would be named soon, he said. The resignation raises fresh questions over the leadership of Afghanistan’s security apparatus, which has struggled to contain a Taliban insurgency that has gained momentum since international forces ended most combat operations last year. WHEN Japan’s prime minister, Shinzo Abe, belatedly took to Twitter, the first world leader he followed—and still one of the very few people he tracks—was his Indian counterpart, Narendra Modi. Periodically the two men engage in effusive courtship over the Twittersphere. Much draws them together. Both are nationalist leaders of big Asian democracies, with a dark side that often rankles: Mr Abe has a tin ear when it comes to imperial Japan’s wartime atrocities, while Mr Modi averts his gaze from the Hindu bigotry of some of his devotees. Both want to assert the greatness of their countries by promoting growth-spurring reforms and closer military ties with the West. Both covet permanent seats on the UN Security Council. And though China remains their biggest trading partner, both want to counterbalance its military rise. India So when Mr Abe comes to India for a three-day official visit beginning on December 11th, the question will be whether the two leaders can move from flirtation to commitment. The likeliest concrete outcome of the visit will be an agreement for Japan to build a bullet-train line linking two of India’s most dynamic cities, Mumbai and Ahmedabad, the commercial capital of Mr Modi’s home state of Gujarat. Two other possible deals would be more significant, and therefore contentious. One is an accord on civil-nuclear co-operation that would allow Japanese firms to bid to build nuclear-power stations in India. Japan regards itself as a champion of nuclear non-proliferation, yet an accord would give a Japanese seal of approval to India’s status as a nuclear-armed state. The second deal is a plan for India to buy and build Japanese seaplanes. It would amount to Japan’s first foreign sale of a military platform; the ShinMaywa US-2 planes are used for surveillance as well as search-and-rescue. Mr Abe claims that the Indo-Japanese partnership is the world’s “most important bilateral relationship”. That sounds like flattery. The most important relationship for both Japan and India is obviously with America—not least for countering China. Yet the Indo-Japanese romance is certainly blossoming. This year Japan joined the annual Malabar naval exercises with India and America. Australia wants to join in, too. An earlier attempt at such multilateral war-games in the Indian Ocean was abandoned in 2008 after protests from China. "Grand strategy is undeniably difficult to get right, but it beats the alternative, grand strategic nihilism, hands-down." In their provocative recent essay in Foreign Affairs, David Edelstein and Ronald Krebs argue that Washington should quit its flawed pursuit of grand strategy and its obsession with planning. The world, they argue, is too unpredictable for master plans. Our capacity to interpret and predict international affairs is inevitably distorted by cognitive blinders. Government is bureaucratically fractured rather than a purposeful unitary actor. The very process of strategizing leads to threat inflation and overstretch. Grand strategy is thus a dangerous pipe dream, and America should act “pragmatically”—on a case-by-case basis—instead. There are three crucial problems with this argument. First, it poses a narrow, reductionist view of grand strategy. Second, it underestimates the range and value of strategies that history suggests are possible. And third, its proposed alternative of mere “pragmatism” is deeply flawed, and in fact, oblivious to its own grand strategic design. As we argue, grand strategy is best understood not as a formal planning process, but as a guiding intellectual framework. When done well, it has helped America harmonize its power with its commitments, and both shape and react to its environment in purposeful ways. Grand strategy is undeniably difficult to get right, but it beats the alternative, grand strategic nihilism, hands-down. Edelstein and Krebs’ account of grand strategy is narrow and reductionist. To hear them tell it, grand strategy is little more than a process of formal state planning that must “look like” the elaborate process we see today, with intensive interagency activity and the crafting of documents like theNational Security Strategy. Their conception reflects not some broad understanding of grand strategy across time and space, but an indictment of the particular habits of the current U.S. national security bureaucracy and its myriad planning efforts. In this respect, the authors fail to imagine beyond mandarins cloistered in a room, charting an elaborate, step-by-step program. They conflate their dislike of America’s current strategic process with a dislike of strategy itself. Regardless of how often you visit Afghanistan, you always ask the same questions: how is the situation and what is the mood in the country? At first glance, life seems normal in Kabul: busy streets, slow-moving traffic, people going about their daily routines. Scratch a tiny bit beneath the surface, however, and the pent-up anxiety and sadness overwhelms you. Contrasting the current mood with 2008, when I visited Kabul for the first time, it’s a world of difference. Back then there was still some hope that the country would pull through the crisis; youth were optimistic and very enthusiastic about rebuilding their country. Today, desperation and frustration are the order of the day. When I met Ali Mustafa in Kabul for the first time in 2008, he was quite keen to set up an IT company once he finished his studies at a local university. Seven years down the line, the 28-year-old is struggling to find a stable job. He is trying to mobilize money so that he can go to Europe as a refugee. Many of his friends have already reached Germany as refugees but due to financial constraints he is forced to stay in Kabul. Human traffickers in Afghanistan demand twelve to fourteen thousand dollars to send anyone to Europe, a figure which has doubled in just one month. Despite this huge cost, demand has not gone down. You won’t find anyone in Kabul who doesn’t have a relative or friend that has left the country. Some reports suggest that the Afghans constitute around 18 percent of the refugees that have reached Europe so far. Such a mass exodus of Afghans has not taken place in recent memory. In the 1990s, many migrated to neighboring countries and further abroad due to the civil war among the different warlords and the Taliban. But such an exodus during peacetime is a new phenomenon and is very disturbing for the stability of the society. It is a telling verdict on the National Unity government led by President Ashraf Ghani. In just over one year, the new regime has lost the trust of Afghanistan’s people. With the economy in bad shape, shrinking job opportunities, and a deteriorating security situation, the Ghani government seems to have lost its grip on governance quite early in its tenure. After the first round of Afghan-Taliban peace talks crumbled, China tried again at the Heart of Asia conference. The fifth iteration of the Heart of Asia-Istanbul Process ministerial conference wrapped up in Islamabad, Pakistan on Wednesday. The meeting, which seeks to bring regional countries together to support peace and stability in Afghanistan, was attended by foreign ministers or other high-level representatives from the 14 Heart of Asia member countries (including Afghanistan, China, India, Iran, Pakistan, and Russia) as well as representatives from supporting countries and organizations like the EU, Japan, and the United States. China was represented at the conference by Foreign Minister Wang Yi. After a year in which China stepped up efforts to mediate between the Taliban and the Afghan government – and encouraged its ally Pakistan to do more to support the peace talks — Wang doubled down on the need for external countries to contribute to Afghanistan’s peace and reconstruction process. He urged the international community to “earnestly honor its commitment to help Afghanistan build capacity for development and security on the basis of respecting its sovereignty, independence and territorial integrity.” He also called for all factions in Afghanistan, as well as what Xinhua called “relevant countries in the process,” to pave the way for resumed peace talks between the Afghan government and the Taliban. That’s a noticeable shift in tone from the 2014 Heart of Asia conference, which was held in Beijing. Last year, Premier Li Keqiang, speaking at the conference, placed more emphasis on Afghanistan’s self-governance, and urged other countries not to interfere in Kabul’s external affairs. By installing a military man in the NSA’s office, the Pakistan Army has re-asserted its hold and has taken away the leeway from the civilian establishment in foreign and security related issues. Sartaj Aziz is a veteran administrator and was considered a powerful minister and close to Prime Minister Nawaz Sharif during the previous Sharif administrations. Eye brows were raised when Sharif appointed him to the dual role of NSA and advisor on foreign affairs. Sartaj Aziz had carried on his task fairly effectively and the military saw red when Aziz began calling shots on the security issues and these decisions were endorsed by the Prime Minister Nawaz Sharif. Since May 2014, after Narendra Modi assumed office, it was Aziz who has been communicating with the new dispensation in New Delhi regarding Indo-Pak relations and coordinating dialogue between the two counties at various fora. Aziz was generally seen to have independent opinions on Indo-Pak relations which was not palatable to the Pakistan Army. Even amidst military’s dissatisfaction about his functioning, Sharif continued to have faith in Aziz and delegated him to manage security and foreign policy issues, especially those related to India in general and Kashmir in particular. 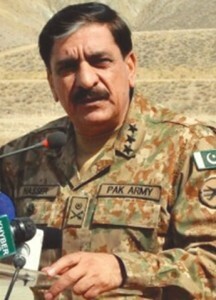 But the situation could not last long and culminated in the Pak Army easing Sharif out of the NSA’s office and placing an Army man, Lt. Gen. Janjua in the crucial office of NSA. ISIS's Finances Are Surprisingly Sophisticated. America Needs to Catch Up. Counterterrorism needs better tools than what Washington developed after 9/11. In the wake of the attacks in Paris last month, the U.S.-led coalition ramped up airstrikes against ISIS’s oil enterprise significantly. The escalation is part of a larger plan unveiled earlier by Defense Secretary Ash Carter to go after the group’s “financial infrastructure.” The need for such strikes reflects a broader truth about the terror finance landscape. Some of today’s most dangerous terrorist groups are no longer vulnerable to the traditional means of disrupting their cash flow. Like any opponent, the key to defeating a terrorist group is to target its center of gravity. For Al Qaeda in the wake of 9/11, that meant going after donations from wealthy supporters in the Gulf and elsewhere. To do that, the United States built a set of robust tools to prevent those donations from flowing through international financial system. Perhaps the most important tool has been the use of designations to compel banks and other financial institutions to block transaction linked to terrorist groups. While these tools were very effective, the goalposts have shifted. Across the Middle East, a new breed of terrorist insurgencies with deep pockets has sprung up to fill the vacuum left by popular upheaval and civil war. These groups work to destabilize the region, often as part of sectarian conflict that pits them against other terrorist groups like Hezbollah. Foreign donations no longer constitute the center of gravity for these opponents. As a result, the toolkit that starved core Al Qaeda of cash is less effective in this fight. Three trends help explain why. The first trend is a shift away from foreign donations toward other sources of support. Unlike core Al Qaeda, the new wave of jihadi groups seek to conquer and hold territory. They self-finance by extracting rents from the lands and people they control, a trend of which ISIS is only the most prominent example. But the millions of dollars in monthly revenue from oil and gas are just part of the story. ISIS also raises millions by taxing or extorting the local population and trading in illicit goods like antiquities. Groups like Boko Haram in Nigeria or Al Shabaab in Somalia have adopted similar self-funding strategies; the latter lines its pockets with as much as a third of Somalia’s $250 million annual trade in charcoal. A Chinese Canadian woman is barred from attending the Miss World contest in China because of her human rights advocacy and spiritual beliefs, with no protest from pageant organizers. A political cartoonist fleeing persecution is deported back to China by Thai authorities, who ignored his UN refugee status. And a Reuters investigation finds that 33 radio stations in 14 countries are subtly broadcasting Chinese Communist Party (CCP) propaganda. These incidents from November alone exemplify an ongoing Chinese government campaign to promote its views and suppress criticism around the world. The phenomenon is not new. A 2013 study by the Center for International Media Assistance described Beijing’s palpable influence over news outlets in the United States, Europe, Asia, and Africa. However, as Chinese president Xi Jinping has tightened ideological controls at home, related content restrictions and manipulation are affecting an ever-broadening array of institutions and economic sectors overseas. Since November 2012, when Xi took the helm of the CCP, Freedom House’s China Media Bulletin has noted over 40 instances in 17 countries and international institutions of Chinese information controls negatively affecting free expression outside China. These are likely only the tip of the iceberg. The CCP’s interventions and influences extend to a surprising range of media, including pop music, hot air balloons, and video games. Disturbingly, as Beijing has pushed harder with economic incentives, intimidation tactics, and even cultural arguments to support its demands, the response from foreign entities has been rather weak, with passivity and complicity proliferating. Recently, the Chinese government closed a deal with the Djibouti government to build its first international military base. The deal grants the Chinese government land rights for ten years, and has abruptly sparked debate over Chinese military interests in Africa. Commentators’ fears have focused on the threat of China’s military expansion in the region. The new base, however, reflects China’s long-term economic goals in Africa more than its current military objectives. It is important to put Chinese investment in context. According to the Brookings Institution, Chinese investment, primarily in extractive industries, equals between 3 and 4.4 percent of foreign direct investment (FDI) in Africa. This is behind France, the United Kingdom, the United States, and even South Africa. However, Chinese investment in Africa is growing. As one foreign observer has noted, China hopes that in the Africa of the future, Africans will be sleeping on Chinese mattresses, using Chinese cell phones, and driving Chinese cars. African governments have been very receptive to working with China, increasing the incentive for Chinese investments; and Africans view Chinese investors more positively than people in Europe, Asia, or Latin America do. Finding The ISIS Center of Gravity: Why Does It Have to Be So Complicated? A recent article from Col Robert Dixon brilliantly detailed the mess of Joint understanding and application of Clausewitz’s Center of Gravity (COG). [i] Like others before him, he argued that the concept is confusing to planners and leaders alike, and that the search for this Holy Grail-esque of targets has led to strategic level failures in conflicts since World War II. Dixon is largely correct in that US doctrine has made the COG concept almost unusable, but the question is why do we need to make it so complicated? Perhaps if we remove the need for a COG to be something physical that we can bomb, we can look at an adversary as a system, and seek out a binding element of that system. In the case of ISIS, properly identifying their COG will not only help lead to an eventual victory, but uphold Clausewitz’s classic principle once again. The Prussian wrote “Out of these [dominant characteristics of both belligerents] a certain center of gravity develops, the hub of all power and movement, on which everything depends. This is the point against which all our energies should be directed.”[ii] Strategists and armchair theorists are aware of this quote and have been misapplying it for years. LtCol Antulio Echevarria did everyone a service in 2002 when he sheds light on the concept by reminding us that the idea stems from engineering, and that a COG is “not a source of strength, but a factor of balance.”[iii] So rather than search for that key ISIS strength or weakness, we should examine what would ultimately push ISIS off balance and knock them over? The search for an opponent’s COG, for that balance point, must use an interdisciplinary process. The myopic antagonist of Stanley Kubrick’s Dr. Strangelove General Jack D. Ripper framed the idea best, albeit with the wrong conclusion, when he stated that “war is too important to be left to the politicians. They have neither the time, the training, nor the inclination for strategic thought.”[iv] However, in modern warfare, the situation has changed to the point that the military may not necessarily have the all-encompassing time/training/inclination for proper strategic thought. When strategists search for a COG, or worse, try to develop multiple COGs, they may not have the broad background needed to accomplish the task. The military specialists become the myopic ones. The search for the COG must include detailed analysis of all aspects of an enemies culture, economy, religion, fielded forces and abilities, leadership, terrain and weather, population, internal and external politics, transportation needs and abilities, and myriad other factors. COGs are difficult, elusive creatures to say the least, but that does not mean that they are not worth the hunt, and the personnel developing them should not be limited to the military. Lesson of the past hint at hurdles in fight to stop isis. BEIRUT, Lebanon — Nine years ago, after the Lebanese militant group Hezbollah captured two Israeli soldiers in a risky cross-border raid, Israel declared it would crush the organization once and for all. Instead, the ensuing war provided a textbook case of how overwhelming firepower can fail to defeat a determined or ideologically driven guerrilla force in the absence of a coherent and well-executed strategy — a cautionary tale, Middle East analysts say, for the powers now lining up to fight the Islamic State. In 2006, Israel, wielding the region’s most powerful military and solid American support, leveled whole city blocks and village centers along with Hezbollah bunkers and offices. But Hezbollah remained standing, and soon it accumulated more political and military power than ever. Today, the Islamic State, having developed a hybrid fighting force combining conventional military tactics, guerrilla abilities and far-flung attacks on civilians, faces a similarly lopsided fight. Arrayed against it, at least notionally, are both the United States and Russia, the regional archenemies Saudi Arabia and Iran, and even Hezbollah. A lot of panic has followed the Dec. 2 armed assault in San Bernardino, Calif., that left 14 people dead and 21 wounded. It was the worst international terrorist attack in the United States since the 2009 Fort Hood shooting, surpassing the death toll in that attack by one. U.S. President Barack Obama has labeled the attack as a new type of terrorist threat, while Republican presidential candidate Donald Trump has used the attack as grounds to call for a ban preventing all Muslims from entering the United States. I don't often editorialize in the Security Weekly, but I believe it is important to set the record straight and to place the San Bernardino attack in the proper perspective. First, as I noted in a piece I wrote before the San Bernardino shooting, terrorist armed assaults are not a new thing. They have been a staple of the modern terrorist era: The Lod Airport attack by the Japanese Red Army and the Munich Olympic attacks in 1972, the 1985 Rome and Vienna airport attacks by the Abu Nidal Organization, Benjamin Smith's multi-state shooting rampage and Buford Furrow's attack against a Jewish day care center in 1999 are all examples. A study says up to 31,000 people from 80-plus countries have joined the Islamic State and other extremist groups. The number of foreign fighters in Iraq and Syria has more than doubled in 18 months, according to a recent study by the Soufan Group. The report estimates that between 27,000 and 31,000 people from at least 86 countries have traveled to Syria and Iraq to join ISIL and other extremist groups. Out of the 5,000 foreign fighters from Western Europe, 3,700 came from just four countries: France, Germany, Belgium, and the United Kingdom. When researchers carried out the same study in the summer of 2014, the number of foreign fighters was estimated to be around 12,000. International efforts from world leaders to stem the number of their citizens going to fight for ISIL appears to have little effect. The number of fighters going to Iraq and Syria from North America has remained “relatively flat,” the report notes. But, there has been a substantial jump in the number of foreign fighters from Russia and Central Asia, the report estimates a near 300% increase since June 2014. While ISIL’s slick online propaganda has played an important role in recruiting people in the US, researchers point out that in the countries with the largest flows of foreign fighters, face-to-face recruitment has played a greater role. In these countries, recruitment has been far more localized, focused, and more successful. The US national security state has for the past quarter-century been preoccupied with something it has called “jihadism.” From the aftermath of the Soviet defeat in Afghanistan through the September 11, 2001 attacks to the rise of the self-declared Islamic State in Syria and Iraq, or ISIS, the specter of mobile Muslim multitudes wreaking global havoc has given rise to an equally vast body of commentary. Nearly all of this work is empirically or conceptually flawed. There are many reasons for such shortcomings, foremost being sheer racism and Islamophobia, followed closely by an inability to think beyond the worldview of the national security state. But many critical challenges to discourses on jihadism, however necessary and salutary, have also unwittingly contributed to the stultifying nature of these debates. What follows is an anti-primer of sorts on jihadism. Unlike innumerable works, it does not purport to tell readers everything they need to know about the different groups whose exotic names and acronyms animate excited “national security” debates. Instead it is an attempt to help readers think through this issue beyond the fashionable threat of the day, to clarify what is and is not known so far, and to better weigh the issues at stake. Discussions of jihad today are like a secularized form of demonology. They stem from a place of horror that shuts down serious thinking about politics. Perhaps the most striking example of this orientation is a summer 2015 analysis in the New York Review of Books—like much of its ilk, widely circulated but quickly forgotten—declaring ISIS simply too horrific to be analyzed. Indeed, the magazine’s unexplained decision to grant anonymity to the author (described only as a “former official of a NATO country”), despite the lack of any sensitive information in the article, seemed only to reinforce this sense of radical cataclysmic difference. Do Europeans Wash Their Hands After Using The Toilet? When you are out on the town enjoying a few beers, how often have you seen a fellow reveller exit the toilets without washing his or her hands? According to a WIN/Gallup International survey, the Dutch are the European nationality least likely to automatically wash their hands after going to the toilet. The survey claims that only 50 percent of people in the Netherlands wash their hands with soap and water after using the toilet compared to 96 percent of people in Bosnia & Herzegovina. This chart shows the percentage of Europeans who automatically wash their hands with soap & water after going to the toilet. The oil price boom from 2003 to 2013 fueled rising prosperity in Saudi Arabia, which became the world’s 19th-largest economy. GDP doubled, household income rose by 75 percent, and 1.7 million jobs were created, including jobs for a growing number of Saudi women. The government invested heavily in education, health, and infrastructure and built up reserves amounting to almost 100 percent of GDP in 2014. The country can no longer rely on oil revenue and public spending for growth, in the face of a changing global energy market and a demographic transition that will significantly increase the number of working-age Saudis by 2030. The current labor participation rate is 41 percent, and productivity growth of 0.8 percent annually from 2003 to 2013 trailed many emerging economies. Our model integrating Saudi Arabia’s economic, labor-market, and fiscal perspectives shows that even if the country responds to these challenging conditions with policy changes such as a budget freeze or immigration curbs, unemployment will rise rapidly, household income will fall, and the fiscal position of the national government will deteriorate sharply. However, a productivity-led economic transformation could enable Saudi Arabia to double its GDP again and create as many as six million new jobs by 2030 (exhibit). We estimate this would require about $4 trillion in investment. Eight sectors—mining and metals, petrochemicals, manufacturing, retail and wholesale trade, tourism and hospitality, healthcare, finance, and construction—have the potential to generate more than 60 percent of this growth opportunity. Wars aren’t won simply by bombing the enemy, yet this delusion has bipartisan, multinational support. Ever since the dawn of the air age more than a century ago, military strategists have been prone to the delusion that bombing by itself can win wars. Today the air-power fantasy is that dropping enough bombs on Islamic State jihadists will get the job done in Iraq and Syria. The approach is a bipartisan, indeed multinational, daydream, shared by Barack Obama and Hillary Clinton, Donald Trump and Ted Cruz, and now by Britain and France as well. Military history offers little justification for such faith. U.S. and British leaders of the 1920s and 1930s invested heavily in developing strategic bombing. As British Prime Minister Stanley Baldwin put it: “The bomber will always get through. The only defense is in offence.” Yet when strategic bombing was unleashed in World War II, it didn’t prove nearly as decisive as its advocates had expected. “My Luftwaffe is invincible,” Hermann Göring had crowed, but the Luftwaffe couldn’t bring Britain to its knees in 1940. “Victory, speedy and complete, awaits the side which first employs air power as it should be employed,” said Air Marshal Arthur “Bomber” Harris, head of Britain’s Bomber Command. But even when the Royal Air Force and the U.S. Army Air Forces combined to unleash their bombers on Germany, they didn’t produce speedy victory. Germany managed to increase industrial production under bombardment. How Does ISIS Fund Itself? Late last week, RAF warplanes launched their first bombing raids on Syria, targeting the Omar oilfield in the eastern part of the country. The extensive oil infrastructure across Syria and Iraq has made the so-called Islamic State one of the richest terrorist organisations in history, providing the group with an estimated $500 million every year, according to a recent Bloomberg report. Kidnap and ransom bring in an estimated $45 million each year while foreign donations are worth approximately $5 million. One of the so-called Islamic State's most important resources is seldom mentioned and that's farmland. Fertile agricultural territory controlled by the group across Syria and Iraq could potentially generate over $200 million every year, according to a Thomson Reuters report. This chart shows the estimated monthly and yearly revenue streams of the so-called Islamic State. 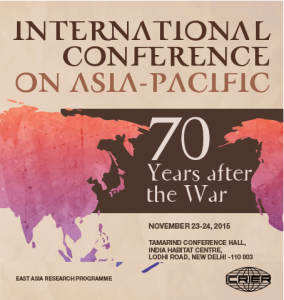 The rise of China and the emergence of India have altered the balance of power in the Asia-Pacific Region. China’s efforts to counter US dominance, India’s efforts to counter China, and Pakistan’s efforts to counter India are logical actions arising from the current situation. A China Pakistan nexus that targets India is also a part of the current interplay between these parties. The presentation will take into account the larger US-China competition which is the overall driver triggering many of these developments in the region. It will delve into India’s unique geo-political situation where it shares borders and a troubled history with two nuclear armed neighbours in China and Pakistan. While China has the distinction of possessing the world’s fastest growing nuclear force, Pakistan is home to the fastest growing nuclear stockpile in the globe today. In the background of continued Sino-Pak alliance, the above developments pose an important security challenge for India. According to the U.S. National Security Strategy, the potential use of nuclear weapons poses the greatest danger to U.S. security. The U.S. strategic deterrent exists to deter a nuclear attack or blackmail against the United States and its allies. If deterrence were to fail, the president would make the decision whether to launch nuclear weapons based on information provided by the Nuclear Command and Control System (NCCS), and would communicate his decision through the system. NCCS must be modernized to provide survivable and reliable support of that process. The NCCS depends on a collection of activities, processes, and procedures performed by military commanders to communicate leadership decisions to nuclear forces. Military and commercial satellite sensors transmit and receive voice, video and data through the NCCS via land-based secure and non-secure phone lines, undersea cables, and airborne relay like the E-4B National Airborne Operations Center (NAOC) and E-6B Airborne Command Post planes. The system is utilized by stakeholders at the White House, Department of Defense, Department of State, Department of Homeland Security, and other federal agencies. The Nuclear Command and Control (NC2) is a survivable network of communications and warning systems that ensures connectivity from the president to nuclear forces provided by NCCS personnel, procedures, facilities, equipment and communications. The five functions of NC2 include force management, planning, situation monitoring, decision making, and force direction. Included in NC2 is the Integrated Tactical Warning/Attack Assessment (ITW/AA) System that evaluates details using surveillance, correlation, and warning along with independent sources of information to ensure credible assessments of ballistic missile, space and air attacks on North America and its interests. NC2 can be transferred to the E-4B NAOC and E-6B Airborne Command Post if fixed command centers are destroyed as a result of an attack. A NAOC aircraft is ready to launch within minutes from random basing locations, ensuring the survivability of the aircraft and the mission while the E-6B serves as an airborne command post and an aerial backup of the Global Operations Center (GOC) with two additional missions: launch Minuteman III intercontinental ballistic missiles, a standby to the land-based launch control facilities, and relay presidential nuclear control orders to Navy nuclear submarines and Air Force nuclear missiles and bombers. The militant group appears to have shifted its strategy from territorial control to random attacks anywhere in the world. The horrifying attacks in Paris last month indicate that the Islamic State, also known as ISIS or Daesh, has shifted strategy. While ISIS harshly condemned Western secularism, it originally did not attack many Westerners. The first US victim was journalist James Foley in August 2014, and afterwards nine hostages from the West and Japan, largely journalists and aid workers living in Syria, were beheaded when demands to Western states to halt air assaults were not met. The gruesome displays were viewed globally and managed by an executioner who spoke with an English accent. ISIS now goes online encouraging supporters to launch their own attacks anywhere in the world – and the group has claimed responsibility for attacks in Paris, Egypt, Turkey, Tunisia and, most recently, San Bernardino in California. A growing apocalyptic vision of creating a new world under Islam may be the most plausible reason for the shift in strategy. ISIS anticipates that the new strategy could threaten security for Muslims in the West, helping stimulate more ISIS recruits while unifying Islam. The Paris attacks were designed to be random – nine coordinated strikes on easy-to-access sites including a stadium, concert hall and several restaurants. The sites chosen enabled ISIS to kill as many as possible and target a style of life the extremists consider reprehensible. The attacks contrasted dramatically with another in January by two Al Qaeda members who killed 12 persons associated with the satirical magazine Charlie Hebdo for offensive descriptions of Prophet Mohammed. THE FUTURE IS NOW. IS THE ARMY READY?